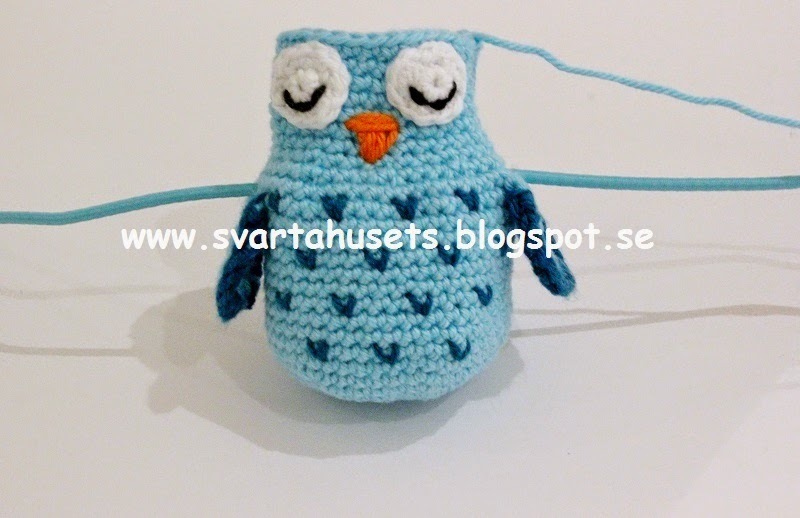 I wanted an owl for a project and found some really qute ones in this post, by very talented swedish blogger Annika hwo runs the blog Svarta Huset. I wanted to share my project with you and asked her if I she would allow me to translate the pattern for the owl. She agreed. lucky for us! 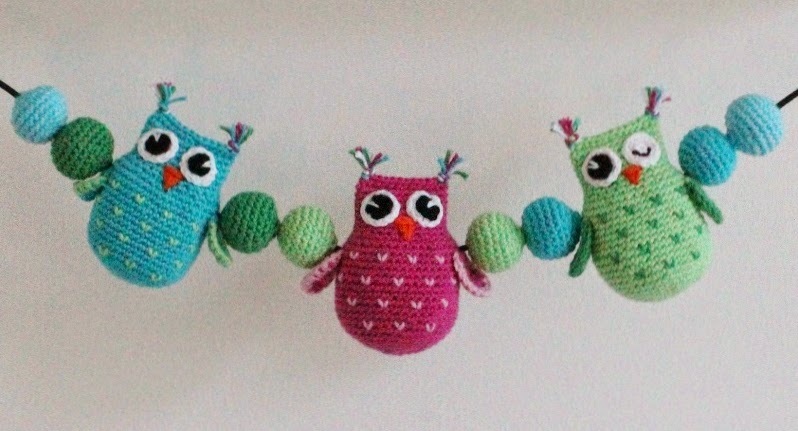 The owl I made comes from a beautiful decoration for baby carriages. After some thought I realised I have to translate the whole decoration by Svarta Huset or you would miss out! I will show you my project in a separate post. 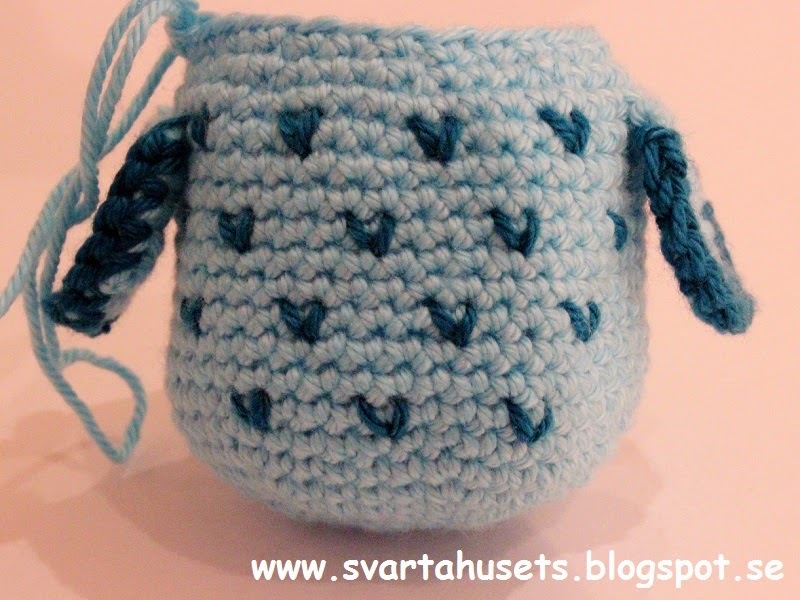 I cannot stress enough, the pattern below is not by me, it is by Annika at Svarta Huset! I merely have translated it to english, using her original pictures. All credit for the beautiful design belongs to Annika! 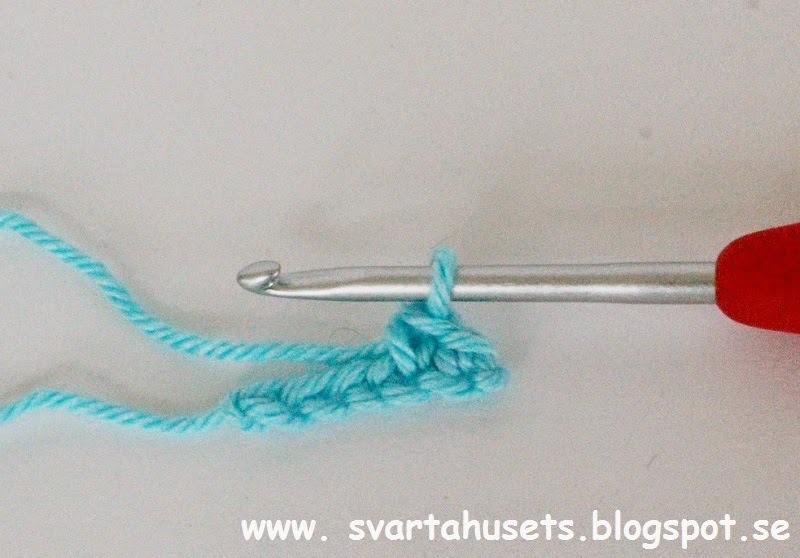 Stitch marker or safety pin. Stuffing for owl and balls. 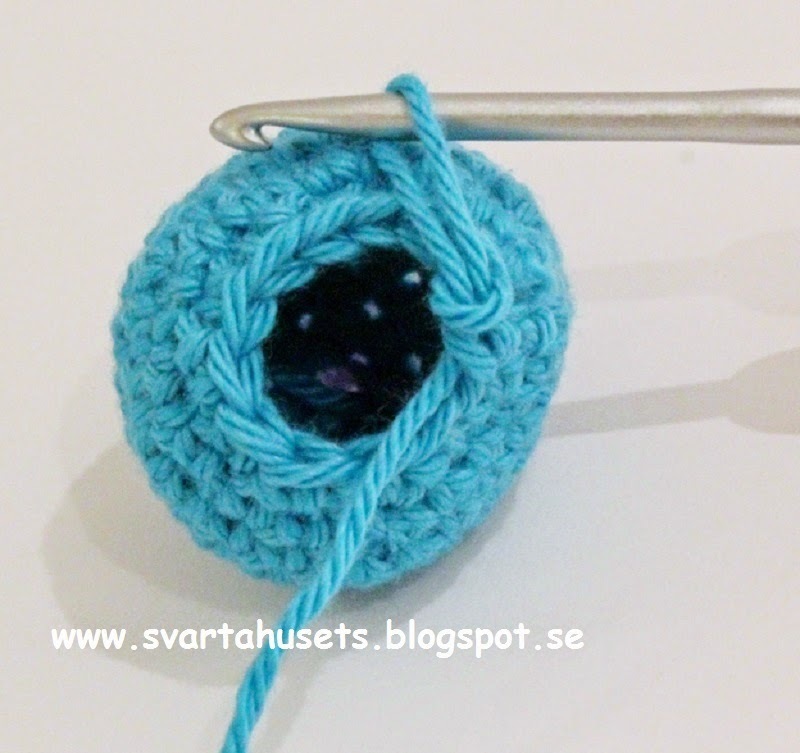 2 rings to fasten decoration onto baby carriage. 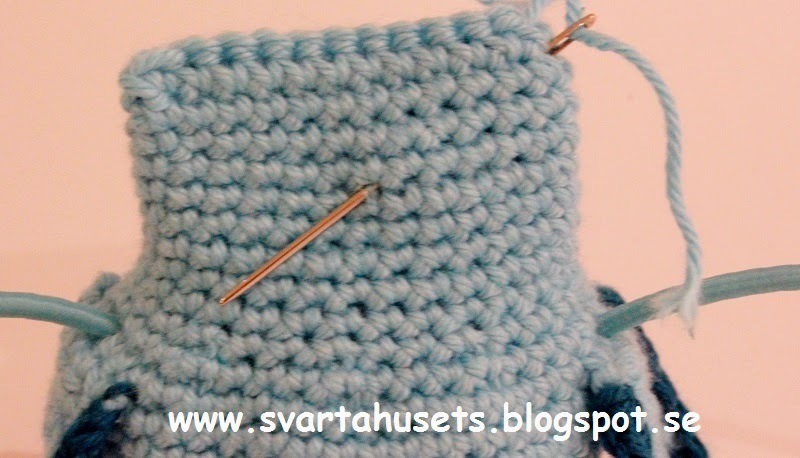 Using second colour, crochet sc around the wing on 3 sides, leaving bottom without (see pictures). 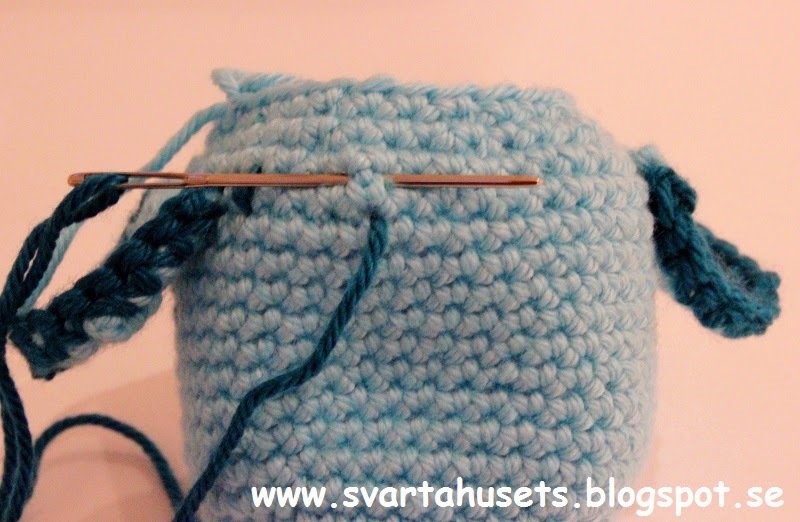 To avoid weaving in ends you can crochet over the ends as in picture. Leave a long tail, about 32 inches, or 80 cm on one of the wings. This will be used to embroider the small v’s on the owl’s tummy. R 1: 6 sc in second ch from hook. R 8- 17: 1 sc in every st. In next round you will fasten wings by inserting needle in both wing and body when doing your sc. 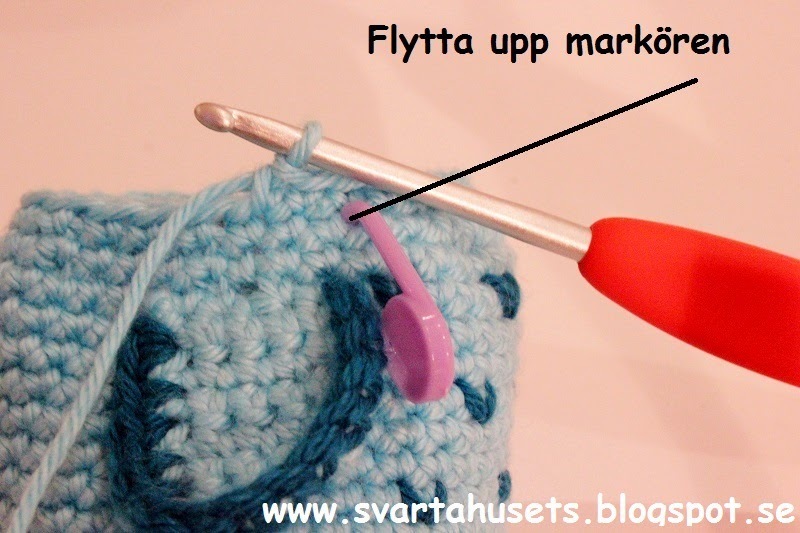 Start with wing with long yarn end. You will also be making the holes were the elastic band will go. R 1: Add wing starting with first st: 2 sc, ch 1, skip 1 st, 2 sc. Now do 16 sc between wings. Start adding second wing. 2 sc, ch 1 skip 1 st, 2 sc. 16 sc between the wings. R 2: 1 sc in each of first 3 st, 1 sc2tog. Repeat rest of round. For instruction of sc2tog see pic below. R 3: 1 sc in first of 2 st, 1 sc2tog. Repeat rest of round. 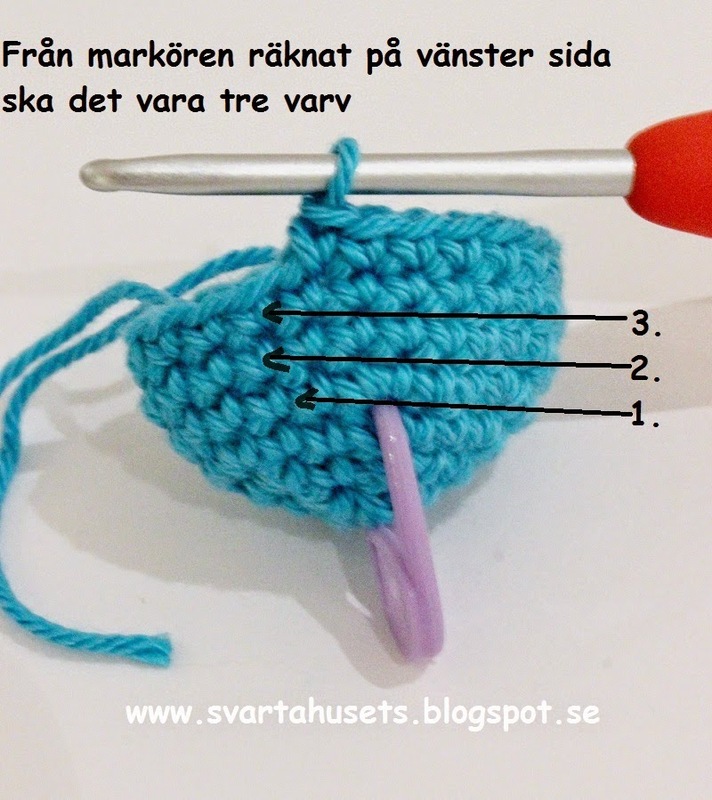 Use long yarn tail to embroider the small v’s on owl tummy. Space evenly. Weave in ends on inside of owl and leave tail in bottom of owl’s inside. Continue with body. 7 rounds with 1 sc in every st.
R 1: Ch 6 in second sc from hook. R 2: 2 sc in every st. (12 st). Fasten off. Leave tail long enough to sew eye onto owl. Weave in middle yarn end. With black yarn ch 2. R 1: 4 sc in second ch from hook. Fasten off. Leave tail long enough to sew pupil to white of eye. Weave in middle yarn end. Sew pupil to white of eye. 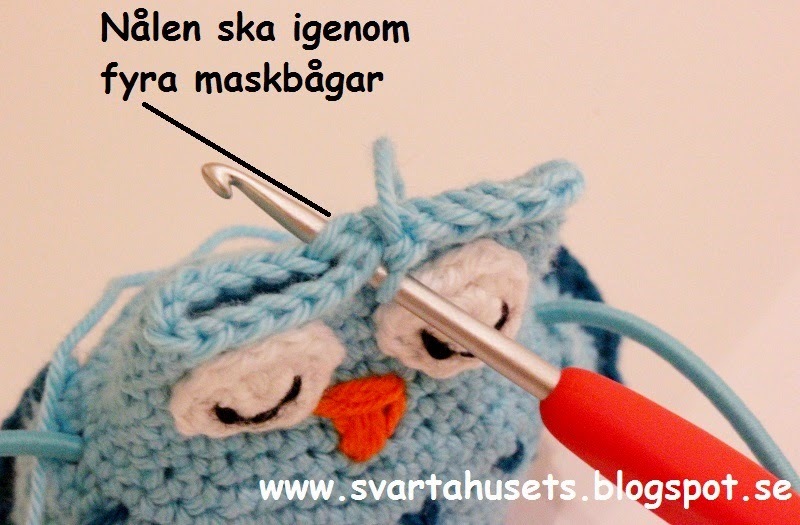 If you want your owl to have closed eyes, skip pupil and just embroider white of eye. Now place and sew eyes to body of owl. 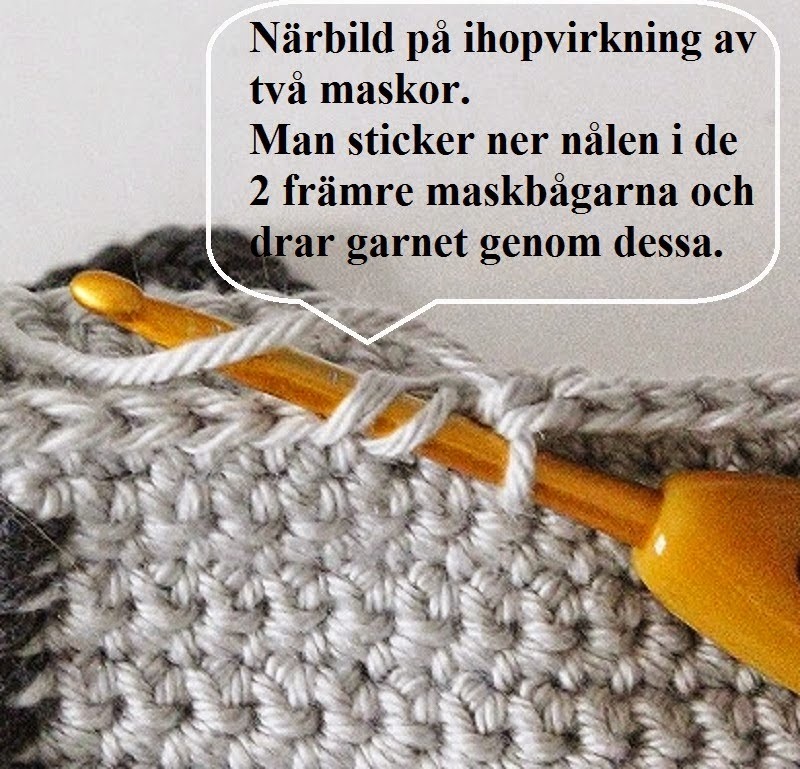 Embroider a small beak. 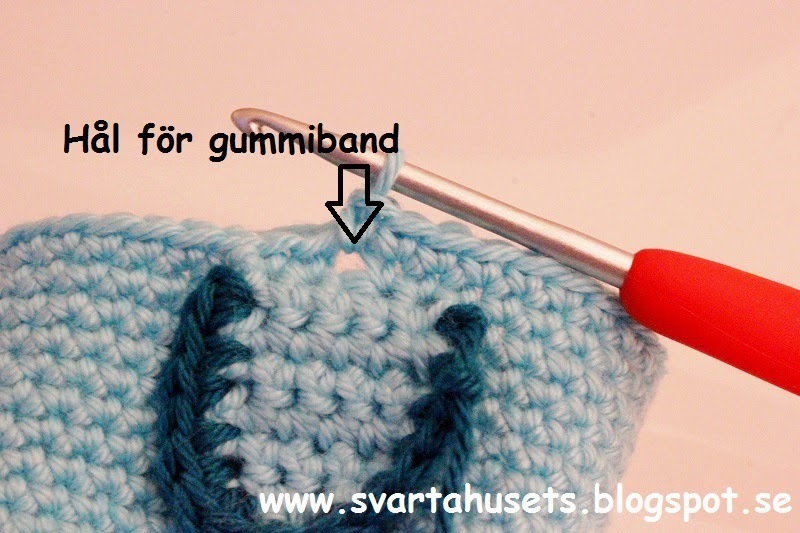 The pic below shows weaving in ends on wrong side of work. Fill lower part of owl with stuffing. 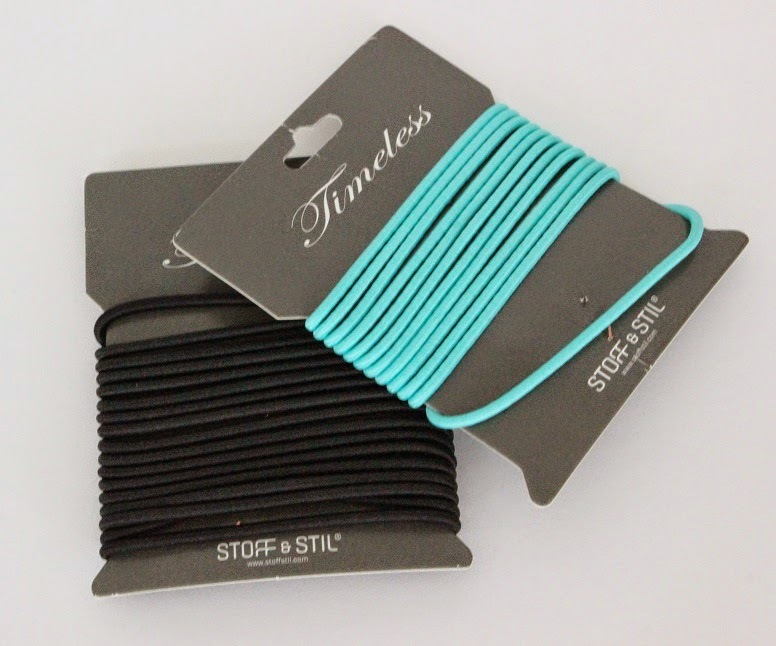 Cut about 28 inches, or 70 cm, of elastic band. To prevent elastic band to unravel and make it easier to pull through owl you could paint the ends with small amount of clear nail polish. Pull elastic band through owl. 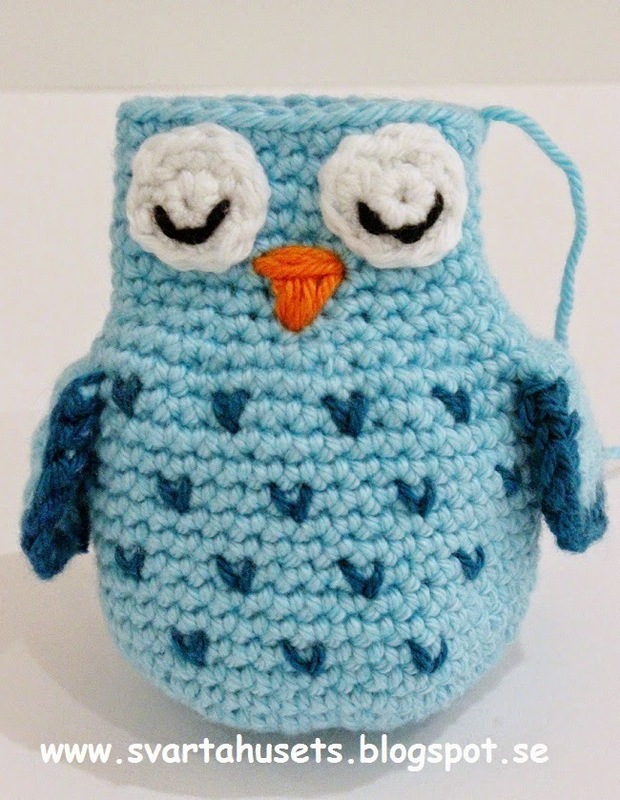 Close owl by crocheting together. See pic below. The rounds are not joined. R 5-7: 1 sc in every st.
R 8: 1 sc in each of first 2 st, 1 sc2tog, repeat rest of round. R 9: 1 sc in first st, 1 sc2tog in next, repeat rest of round. 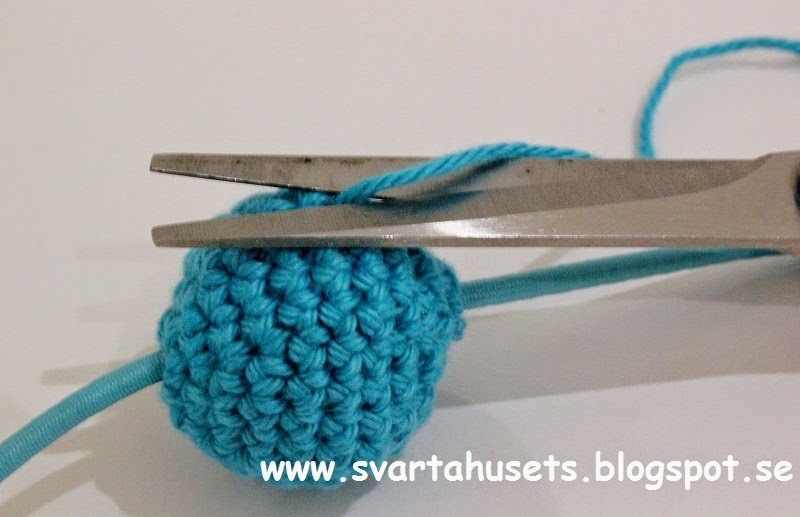 Pull elastic band through ball (bottom to top, se second pic below) and fill with stuffing. 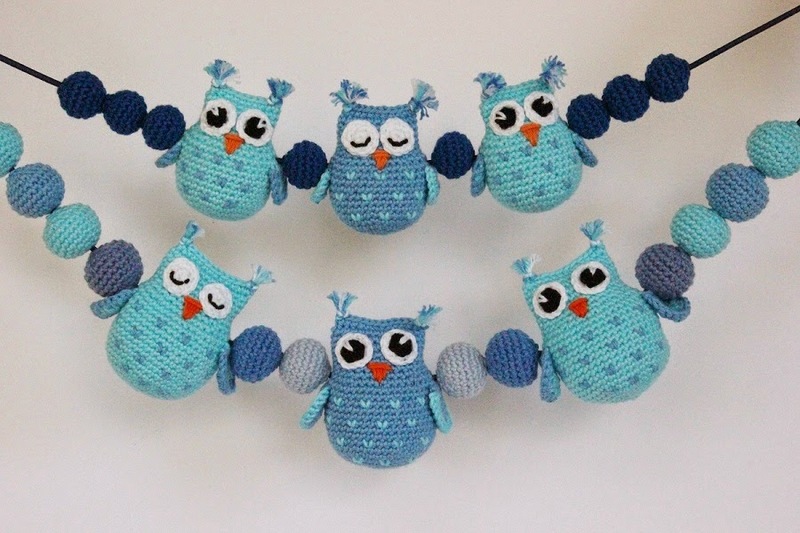 Make more owls and balls as needed. 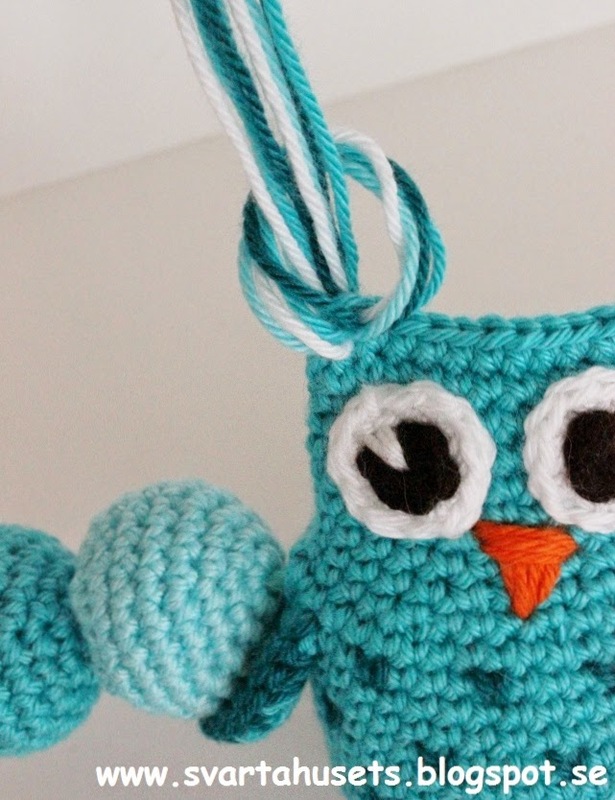 When done with all owls and balls it is time for ear tassels. 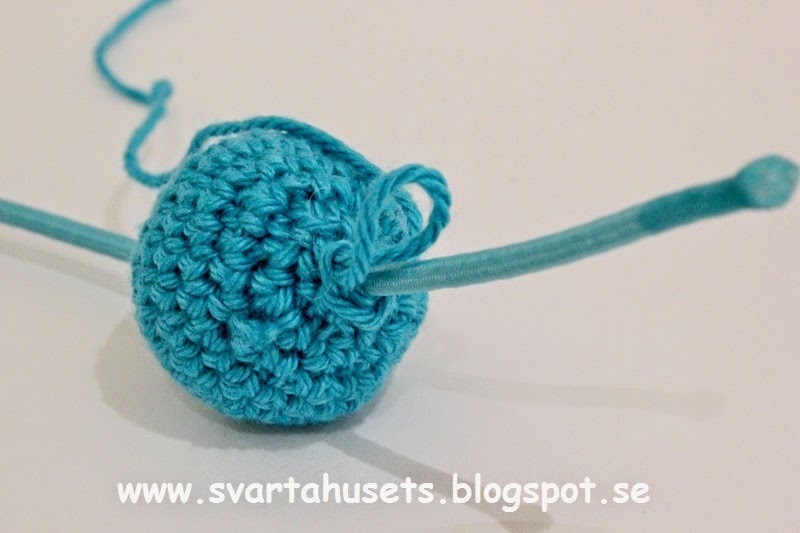 Fold 4 pieces of yarn double. Thread loop throug ear, back to front. 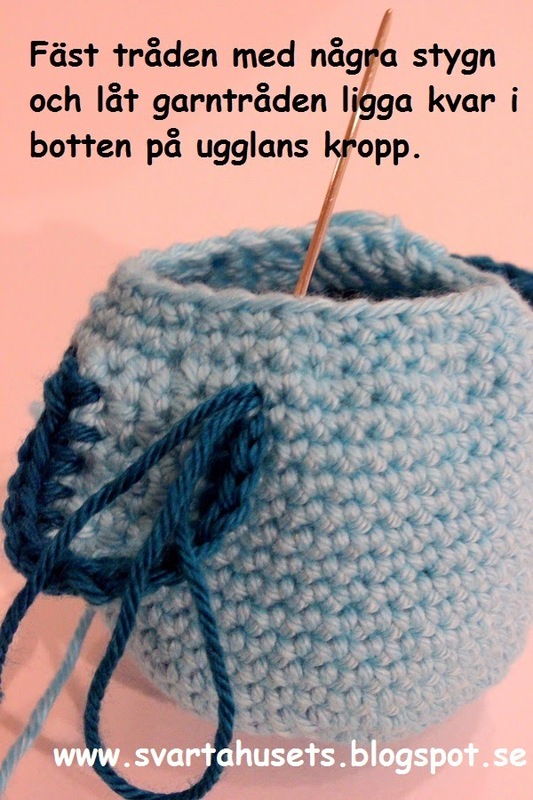 Pull yarn ends through loop. Pull tight. Cut ear tassels to good looking length. Add rings to to fasten decoration on baby carriage. I’m excited to do this!! Looking forward to seeing your finished project! Please let me know if anything is unclear or you find errors in pattern! Hello I was wondering how big this owl is? I would like it to be a plush. Is there a way to increase the size ? 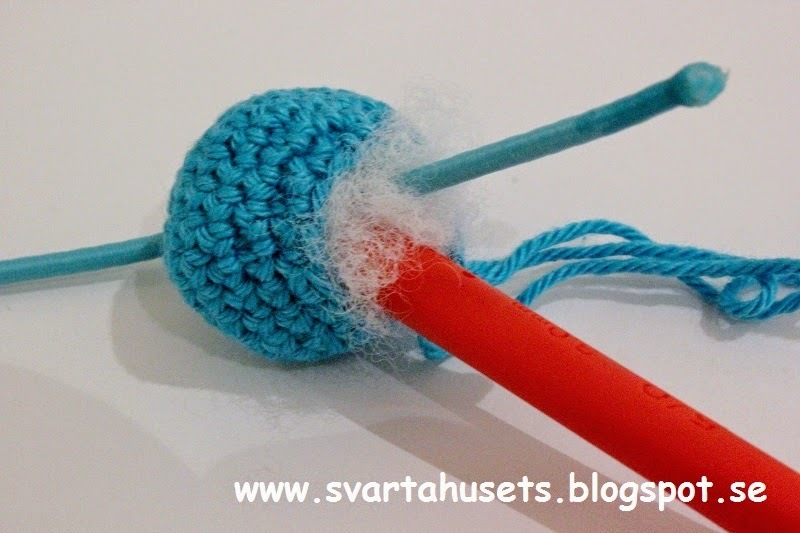 I did not create this pattern, I only translated it to English, but you could try thicker yarn and larger hook, or you could experiment by doing more rounds, both increasing rounds and adding on rounds. Good luck! 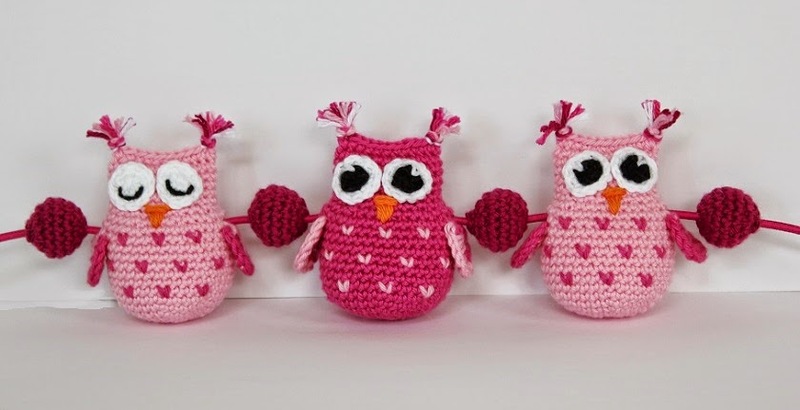 I’ve been looking for an owl pattern to make a gift for a friend. Thank you for the translation of such cute ones! You need to decrease your work to make the correct shape. 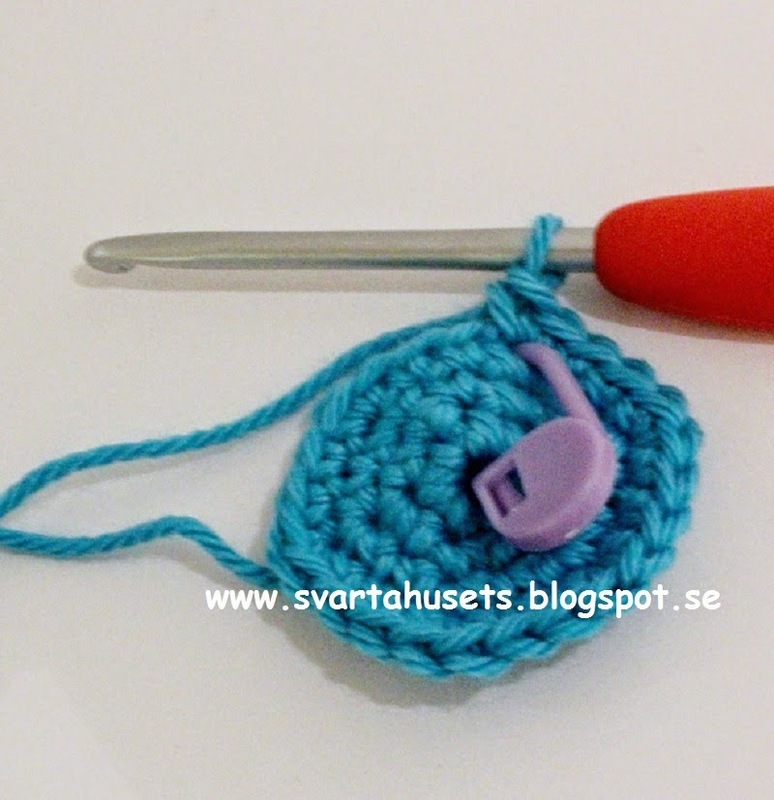 sc2tog means single crochet 2 together and you find a link to a video tutorial on how to do this in the beginning of the pattern in the post. 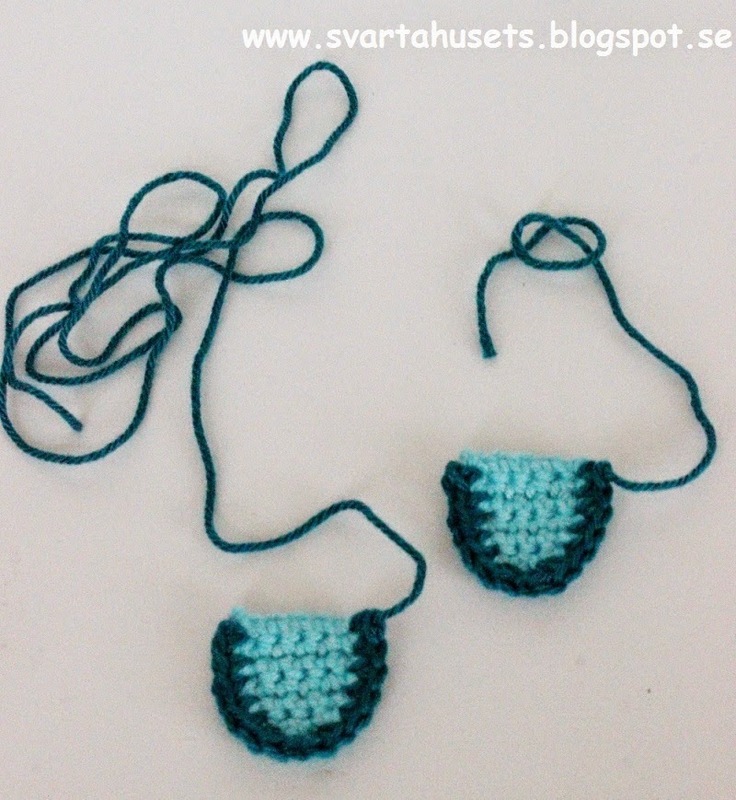 R 2: In each of first 3 stitches you make 1 single crochet each of these. Over the next 2 stitches you make a sc2tog. You repeat this for the rest of round. 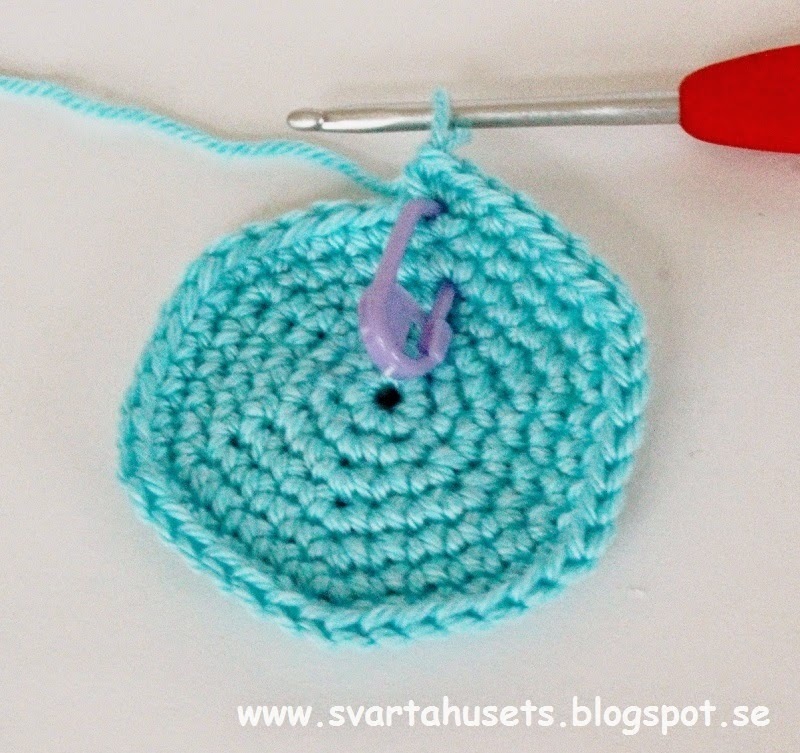 This means you make 1 single crochet in each of the next 3 stitches and then a sc2tog over the next 2, and just repeat this for rest of round. 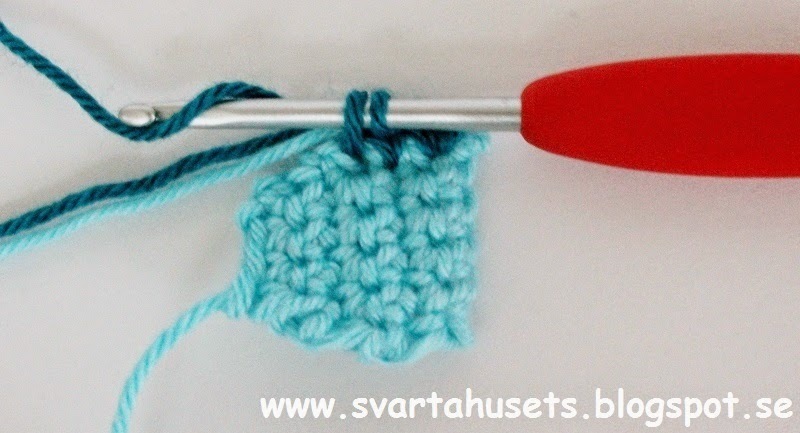 R 3: In each of the first 2 stitches you make 1 single crochet. 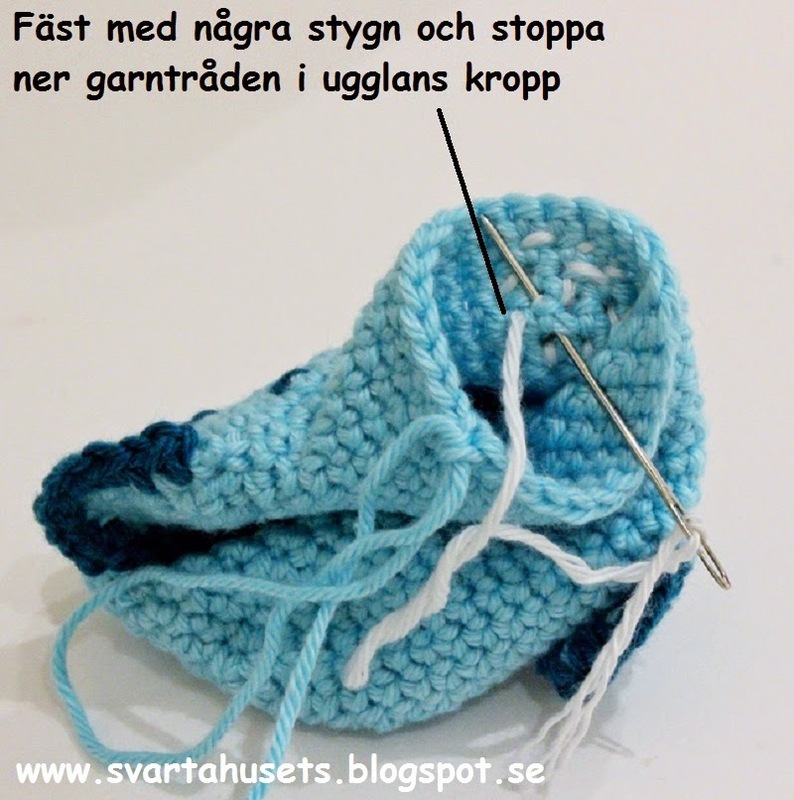 Over the next 2 stitches you make 1 sc2tog. Repeat this for rest of round. I hope this helps. Do not hesitate to reach out to me again if you need more support! Hey i really need to know how to make this pattern but bigger!! 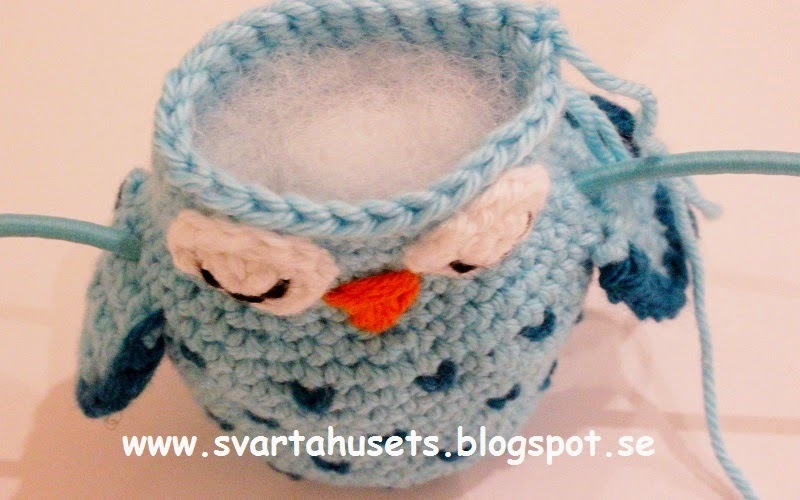 If you search the blog where the original Swedish pattern is from I think there is an English version of her larger owls as well. 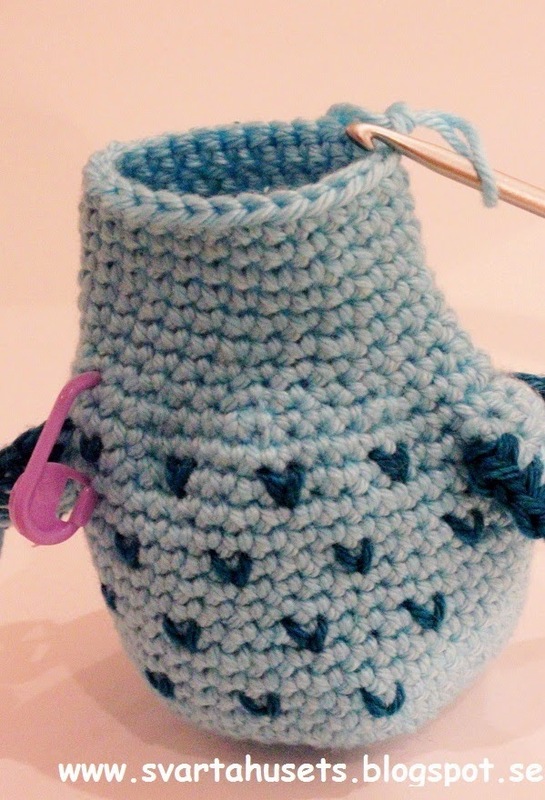 Hi Monica, thanks so much for posting this great pattern. Can I just clarify, with the body and eyes, do you need to start with s magic circle first and then chain 2? All rounds from 8 until 17 are done in same way.